Find out more about 100in1Day here! Please join the Peterborough Bicycle Advisory Committee in Millennium Park for a fun, off-road demonstration of the 1-metre safe passing distance required for sharing the road with cyclists. Learn how road etiquette and technology help create a safe environment for Ontarians using bicycles and automobiles. 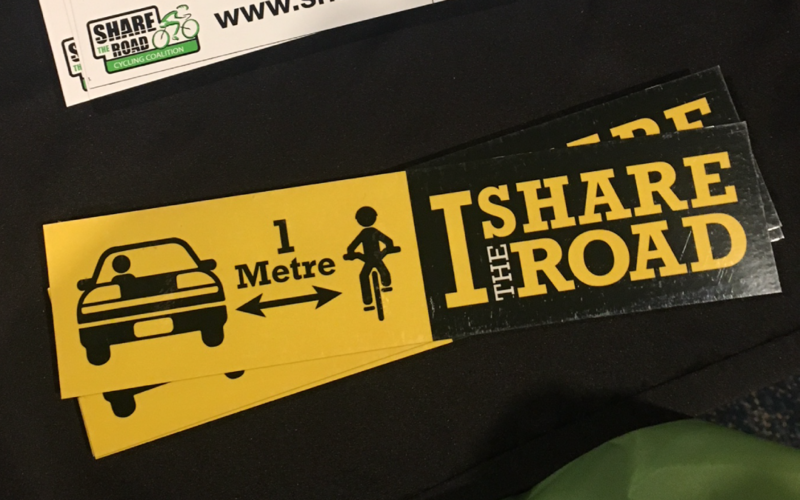 Participants receive bicycle and car bumper stickers to help spread the message that Peterborough shares the road!